FLOYD A. BEAMS, PhD, authored the first edition of Advanced Accounting in 1979 and actively revised his text through the next six revisions and twenty-one years while maintaining an active professional and academic career at Virginia Tech where he rose to the rank of Professor, retiring in 1995. Beams earned his BS and MA degrees from the University of Nebraska, and a PhD from the University of Illinois. He published actively in journals, including The Accounting Review, Journal of Accounting, Auditing and Finance, Journal of Accountancy, The Atlantic Economic Review, Management Accounting, and others. He was a member of the American Accounting Association and the Institute of Management Accountants and served on committees for both organizations. Beams was honored with the National Association of Accounts’ Lybrand Bronze Medal Award for outstanding contribution to accounting literature, the Distinguished Career in Accounting award from the Virginia Society of CPAs, and the Virginia Outstanding Accounting Educator award from the Carman G. Blough student chapter of the Institute of Management Accountants. Professor Beams passed away in 2004; however, we continue to honor his contribution to the field and salute the impact he had on this volume. JOSEPH H. ANTHONY, PhD, joined the Michigan State University faculty in 1983 and is an Associate Professor of Accounting at the Eli Broad College of Business. He earned his BA in 1971 and his MS in 1974, both awarded by Pennsylvania State University, and he earned his PhD from The Ohio State University in 1984. He is a Certified Public Accountant, and is a member of the American Accounting Association, American Institute of Certified Public Accountants, American Finance Association, and Canadian Academic Accounting Association. He has been recognized as a Lilly Foundation Faculty Teaching Fellow and as the MSU Accounting Department’s Outstanding Teacher in 1998–1999 and in 2010–2011. He is retiring in May 2016. Anthony teaches a variety of courses, including undergraduate introductory, intermediate, and advanced financial accounting. He also teaches financial accounting theory and financial statement analysis at the master’s level, as well as financial accounting courses in Executive MBA programs, and a doctoral seminar in financial accounting and capital markets research. 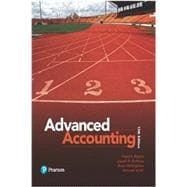 He co-authored an introductory financial accounting textbook. Anthony’s research interests include financial statement analysis, corporate reporting, and the impact of accounting information in the securities markets. He has published a number of articles in leading accounting and finance journals, including The Journal of Accounting & Economics, The Journal of Finance, Contemporary Accounting Research, The Journal of Accounting, Auditing, & Finance, and Accounting Horizons. BRUCE BETTINGHAUS, PhD, is an Associate Assistant Professor of Accounting in the School of Accounting in The Seidman College of Business at Grand Valley State University. His teaching experience includes corporate governance and accounting ethics, as well as accounting theory and financial reporting for both undergraduates and graduate classes. He earned his PhD at Penn State University and his BBA at Grand Valley State University. Bruce has also served on the faculties of the University of Missouri and Michigan State University. He has been recognized for high-quality teaching at both Penn State and Michigan State Universities. His research interests focus on governance and financial reporting for public firms. He has published articles in The International Journal of Accounting, Management Accounting Quarterly, Strategic Financ e, and The Journal of Corporate Accounting and Finance. KENNETH A. SMITH, PhD, is an Associate Professor of Accounting and the Department Chair at Central Washington University. He earned his PhD from the University of Missouri, his MBA from Ball State University, and his BA in Accounting from Anderson University (IN). He is a Certified Public Accountant. Smith’s research interests include government accounting and budgeting, non-profit financial management, non-financial performance reporting, and information systems in government and nonprofit organizations. He has published articles in such journals as Accounting Horizons, Journal of Government Financial Management, Public Performance & Management Review, Nonprofit and Voluntary Sector Quarterly, International Public Management Journal, Government Finance Review, and Strategic Finance. Smith’s professional activities include membership in the American Accounting Association, the Association of Government Accountants, the Government Finance Officers Association, the Institute of Internal Auditors, and the Institute of Management Accountants. He is an elected public official, serving on the School Board for the 10th largest School District in the state of Washington. He serves on the Steering Committee for the Public Performance Measurement Reporting Network and formerly served as the Executive Director for the Oregon Public Performance Measurement Association and the not-for-profit Wheels for Humanity.